Note by Australian Voice: The author refers to the organizations Soros funds as "left-wing". Some may be offended by this, however progressive people must realize "The man who pays the piper calls the tune." Soros supports progressive causes ONLY TO INFLUENCE THEM TO BENEFIT HIMSELF. You may think the causes he supports are worthy in themselves, but accepting his support leads to political manipulation. Someone who accepts his "gifts" allows themselves to be a tool in the hands of one of the richest men in the world. 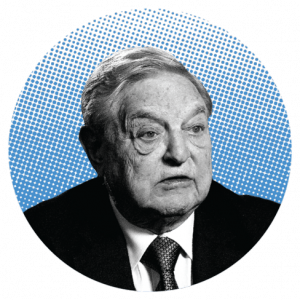 George Soros is the main instigator of and funding all current anti-Trump protest. DO NOT ENGAGE. Stay home, let them protest. 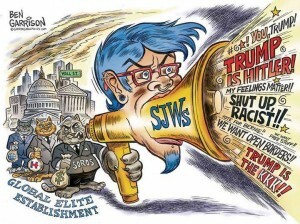 Soros is trying to start a civil war!!! Soros wants Trump supporters to come out and challenge the protesters because he knows violence will break out. This is not a joke and not overreacting. Things could get very ugly, very quickly across the entire country if fights start breaking out. We are not safe until Trump is actually in the White House. Do not get complacent. Small fires can spread very quickly under the right conditions. Be prepared. Powerful elite do not go down easily. We haven’t won until Trump is in the oval office and there is a lot they can do to stop that between now and inauguration day. Mass civil unrest = Martial Law = President suspending transfer of power due to “National Emergency”. This is the plan. The new and mysterious website, DC Leaks, posted documents from George Soros’ Open Society. There are new documents posted from operations in Latin America, Eurasia, Asia, Europe, The US and World Bank. The leak is believed to be perpetrated by the same Russian intelligence outfit that has started targeting Democratic political organizations. The emails follow a former intelligence official and also show the correspondence of a retired Army officer, according to Bloomberg.